My friend had promised to take me to this famous Mac & Cheese restaurant in NYC, but we just couldn’t make it there, until the week before last. Called S’mac, the place has desi roots. The ‘S’ stands for Sarita. And that might explain the Masala Mac & Cheese on the menu. The description was simple, it was traditional Mac & Cheese with Indian spices, no way one could go wrong with this item. 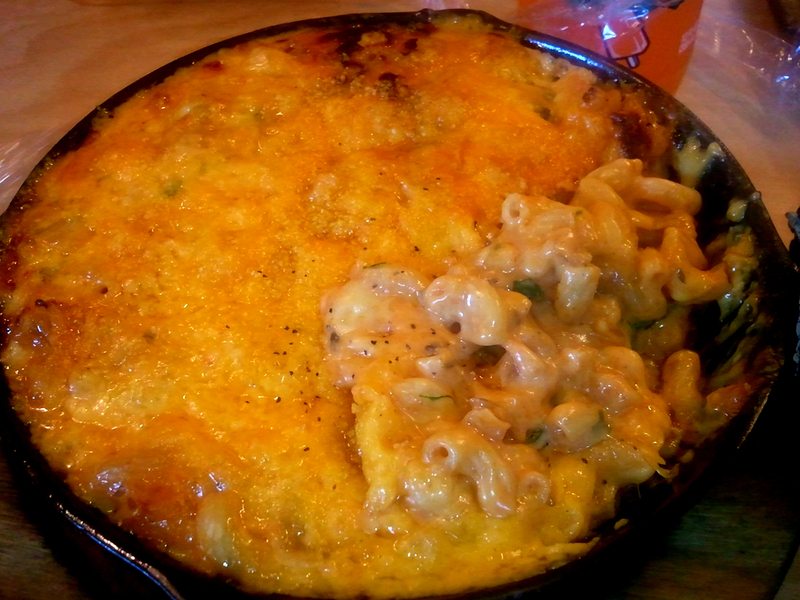 I’ve had Domino’s Three Cheese and Mac which I happened to like simply because of the cheese overload but S’mac’s dish was something way better. It even looked better. The other vegetarian item we ordered was the Mediterranean flavored Mac & cheese. The interesting thing was the combination of the two! The spicy Masala and the mild white sauced Mediterranean worked splendidly with each other–two spoons of Masala & one of Mediterranean–unhealthy heaven.